With Britain officially leaving the EU in March of 2019 and its government still no nearer to reaching an agreement about the terms of the departure, there is more than a little uncertainty in the UK housing market. This is particularly so in the media, with even political commentators failing to agree on what Britain’s independence from the EU is going to look like, not just for housing, but for UK business in general. So, with confusion abound, how can property investors hope to get the truth about what state the UK housing market is in right now, some 5 months before Brexit becomes official? We felt that the answers lie in talking to the people on the ground, i.e. those either already active in Britain’s housing market or those who have immediate plans to invest in property there. 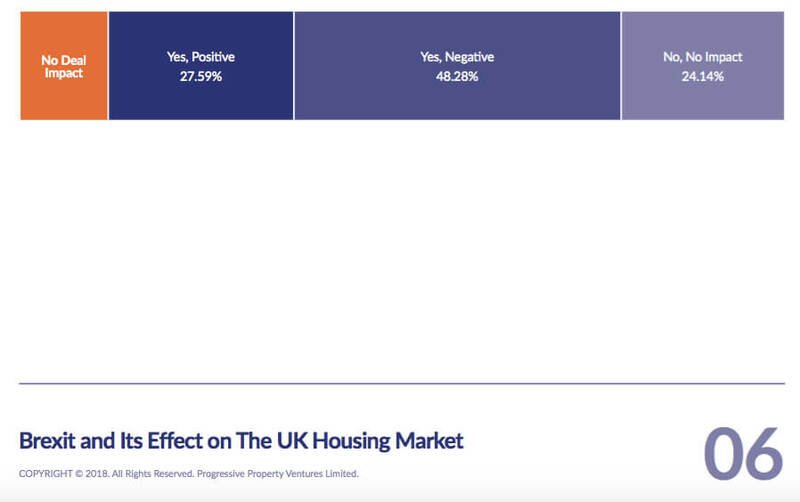 So, with this in mind, we canvassed our customers with a few simple questions to really get a feel for what the mood in the UK house buying public is like and how the apparent stalemate in Brexit negotiations is going to affect the current status quo. So, without further ado, let’s take a look at what we found out. Q1: How many properties do you own? It’s important with any survey, that you know your demographic, so it was important to determine what the cross section of the people canvassed looked like – so as to better understand what their motives might have been for giving the answers they did. In answer to the question 1, we found that almost 45% of those asked owned 1-2 properties, one of which was invariably being used as a primary residence. The next largest group were those who don’t currently own a property, which at just under 38%, shows that there are a good number of first time buyers out there. There’s a big drop off then to the next group, with around 10% owning 5 or more properties. This group accounts for those with a serious property portfolio and multi-property landlord arrangements. 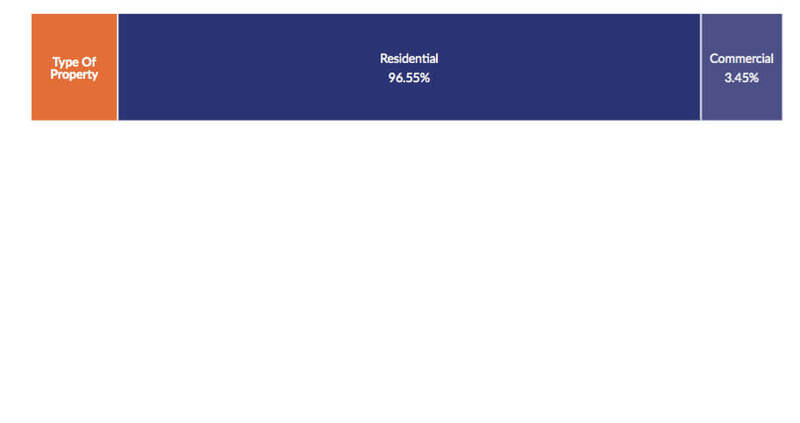 The smallest group surveyed were the those owning 3-5 properties, making up just under 7% of the total. Q2: What type of property do you invest in? To further narrow down the field as to what part of the property market our survey was most pertinent to, we asked the above question. The answer was overwhelming one, in that almost 96% of those asked were involved with or looking to become involved in residential property and a paltry 3% focussing their efforts on commercial properties. Q3: What property strategies do you currently use or are thinking of using in the next 12 months? When asked about the exact nature of their current or future intentions in the UK property market, we gained some interesting insight into what homebuyers and homeowners are thinking at this current moment in time. For example, the most popular sector seems to be the buy to let market, with just over 30% either already owning or planning to buy a property for the purposes of renting it out. Not far behind is deal packaging at just over 27%, which involves finding deals for properties for other people and monetising the process. Sitting at 17% of the total were those involved in serviced accommodation, which basically means that the property bought is operated like a hotel-like facilities like housekeeping and room service. Next on the list are people concerning themselves with Houses of Multiple Occupancy (HMOs) (typically used for student accommodation) and No Money Down homeseekers, who have no deposit to put down. Both of these groups make up just over 10% each of the total surveyed. The smallest group at 3% were those involved in or looking to become involved in rent to rent properties, which is a form of subletting for profit. 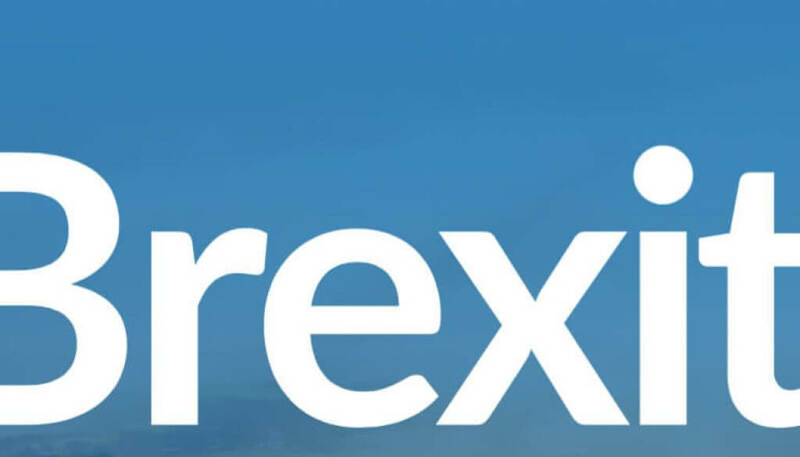 Q4: Do you believe that a No-Deal Brexit will have an impact on the UK property market? Now we get to the crux of the matter. This direct question dealt with the fears being felt by the UK public about the current state of the Brexit negotiations. 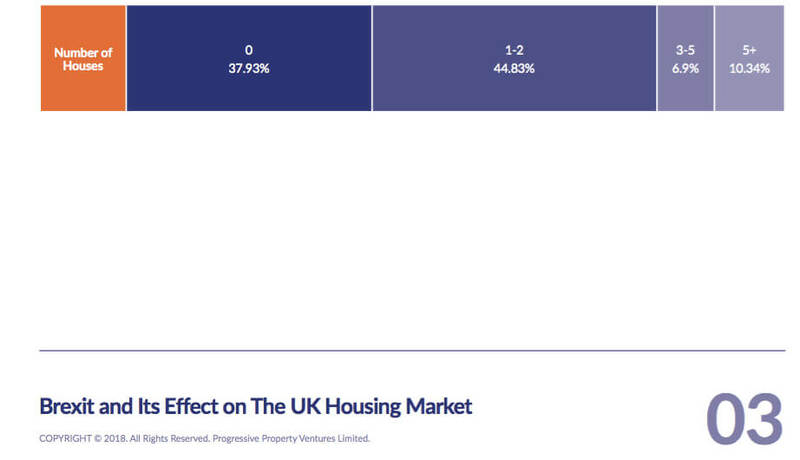 When asked what kind impact they thought it would have on the UK housing market, there was a mixed response, but one that had a clear winner. 48% answered that there would be a negative impact, with just under 28% stating that they thought it would result in a positive impact. 24% felt it would have no impact at all. So, what do the answers we got mean? Well, we can glean a fair bit from what we found out. We can say that there is still considerable interest in the residential property market in the United Kingdom and that people are, by and large, following traditional patterns of ownership. Buy to let properties remain popular, with strong interest being shown in deal packaging. We can also confirm that there is a great deal of uncertainty regarding the impact of a No Deal Brexit. At first glance, the figures show that almost half of those surveyed believe that there will be a negative impact. However, when the percentage who feel the impact will be positive are added to the percentage who don’t think there will be any impact at all, the result is a pretty much 50-50 split. In truth, whilst there are plenty who have opinions on the subject, no one will truly know what Brexit or indeed a No Deal Brexit will have on the housing market until it happens. Until that point, it’s all just conjecture. The good news is that the housing market still remains a relatively buoyant one and whilst there is a certain amount of doom-mongery around (mainly from the pro Remainers), there’s no reason to believe at this stage that the bottom is going to fall out of the market any time soon. Our advice? Keep your eyes peeled, watch this space and don’t make any rash decisions until you know what’s really happening.